Terri Gross interviewed director Paul Thomas Anderson on Fresh Air, about his new film The Master, staring Philip Seymour Hoffman, Joaquin Phoenix and Amy Adams. Highlights from the interview include: Anderson’s father Ernie Anderson was the voice of ABC, and a Cleveland television late-night horror movie host known as “Ghoulardi.” Mr. Anderson attempts to imitate his father’s voiceover work, does so poorly. 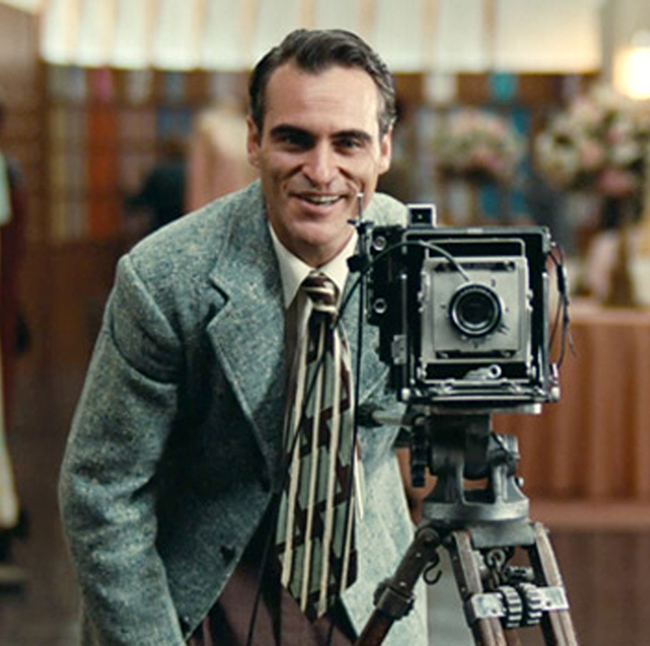 Why The Master was shot on crotchety 65 mm wide high-resolution film. Mr. Anderson has a sense of humor. Turner Movie Classics play perpetually in Mr. Anderson’s house like Norma Desmond Muzak.